Savioke is sharing big news at the Consumer Electronics Show (#CES2018) this week, including the launch of two Relay robots in the Renaissance Hotel Las Vegas and three new features that will expand Relay’s utilization beyond guest room delivery. As part of a recently completed multimillion dollar transformation, the Renaissance Hotel Las Vegas is now employing Relay robots, nicknamed Elvis and Priscilla, to provide guests with quick delivery of bath amenities, toothpaste, or other products directly to their rooms. Strategically located adjacent to the Las Vegas Convention Center, the Renaissance Hotel is the first hotel in Las Vegas to install Relay robots. WiFi monitoring. Poor or slow WiFi connectivity is consistently one of the top five most common hotel guest complaints but often difficult to detect. Relay’s WiFi detection mode provides hotels and other properties with real time notification of WiFi strength by autonomously navigating through hallways to analyze the WiFi strength at different access points throughout the property. When a weak WiFi signal is detected, Relay immediately notifies the front desk or IT staff of the problem. Relay can perform this check multiple times daily, allowing the hotel to identify and resolve WiFi issues before guests are impacted. Tray/debris detection and reporting. For most hotels, walking each floor to find and remove food trays, trash, carts, and other items left outside guest rooms is a necessary, yet time consuming chore—especially at night when staff is limited. With tray and debris detection, Relay patrols hotel hallways to find unwanted items and obstacles. He then notifies hotel staff so the items can be removed. Relay can run this check multiple times daily, allowing the hotel to identify and remove items before guests are affected. Social mingling. Improving the guest experience means continually delighting and engaging guests at every stage of their hotel stay. “Mingle mode” enables Relay to navigate through public areas, stopping to interact with and entertain hotel guests waiting at the registration desk, passing time in the lobby or lounge, or simply relaxing in a common area. Hotels can choose from multiple levels of interaction including having Relay display information, surveys, jokes, and custom hotel messages on his screen, as well as deliver treats or items to guests. Contact us at comm@savioke.com if you want to meet us at CES and see Relay in action. Savioke CEO Steve Cousins and other members of the team will be on hand at CES 2018 in early January to share our latest news and show off Relay to press, partners, and other robot enthusiasts. While at the show, Savioke will be making some exciting announcements, including our first Relay deployments in Las Vegas and several new features that will make Relay a more valuable team member for hotels, apartments, and other domains. 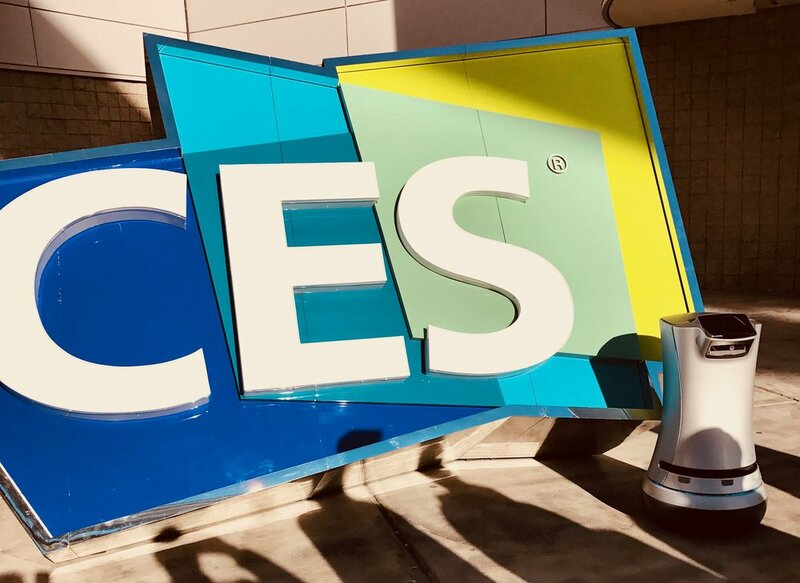 Tessa Lau, Savioke's CTO, to speak on a mainstage panel at CES 2018. We are also pleased to announce that Savioke CTO Tessa Lau will be speaking on a mainstage panel at CES. The Travel and Hospitality Transforming with Technology panel is scheduled from 1-2 pm on Wednesday, January 10th in conference room N261 in the Las Vegas Convention Center. On the panel, Tessa will be joined by executives from Hilton, United Airlines, Boingo Wireless, and Travel Weekly to discuss how technology is disrupting the hospitality industry. Reporters interested in speaking with Steve Cousins and/or Tessa Lau and seeing Relay in action should reach out to comm@savioke.com to schedule a meeting with us at CES. Relay Debuts on Good Morning America! America’s most-watched morning news show rings in Cyber Monday with a visit from Relay to its Manhattan studios! Our very own Relay appeared on Good Morning America early this morning, delighting the studio audience, entertaining the crew, and making a much needed coffee delivery to ABC chief meteorologist Ginger Zee as part of the show’s Cyber Monday celebration. Now that Relay is live at the LUMA Hotel Times Square, he’ll be welcoming guests from all over the world who come to visit New York City. In the meantime, he’s already a hit on Good Morning America.